When looking for the Caduceus Staff I thought about the Yin-Yang symbol, as they also have the curves of the serpents. As the Staff in Caduceus and the Middle Pillar of the Kabbalah Tree of Life, the symbol of Yin and Yang has an imaginary line separating the two sides: Tao! In Christianity we call the line for The Golden Middle Way and in India its called the “Middle Way” by the Buddhists and the “razor-edged path” in the Upanishads. Our way through life is lead by two powers, dharma and karma, where dharma is the idea behind our life, the plan that we follow, that lead us to the people we share karma with and karma is what gives form to the idea, what we have to transform to wisdom through understanding. Dharma is the white half, our super-conscious with our higher I, and karma is the black half, in our subconscious with lower feelings, desires and instincts. The line separating the two are TAO, the soul with the I. According to Chinese myth, before the world began there was chaos shaped like a hen’s egg. The huge Pan Gu separated this egg into Yin and Yang. Yin formed the earth, Yang formed the sky. Yin stood for all the female, wet, dark things of nature, while Yang stood for all the male, dry and bright things. There could be no perfect happiness till there was a balance between Yin and Yang. Wuji is the uncreated, the primordial, limitless void, the possibility for the created and Taiji is the created, Yang and Yin, heaven and earth. From the interaction between Yin and Yang emanates the soul of man, binding Heaven and Earth together. It seems to barely exist at all. It preceded the Gods themselves. Matches the Sephira Keter, which represents the infinite, and is found in the first triangle of the Tree of Life, separated from Man by the Abyss. Hearing the term “the razor-edged path,” one might think it is the most dangerous, but it is the safest of all paths because it is where a complete equilibrium is preserved and therefore there is complete security. It is a path where there is a profound peace, a path where there is absolute harmony. If you stray from that path, get lost in the surroundings, and find other paths, there maybe conflict, there may be hesitation, but when you tread the middle path, it is secure, because it is one-pointed and in it, harmony can be found from the beginning to the end. Rudolf Steiner calls Yin for Ahriman and Yang for Lucifer, and the imaginary separating line for Christ. All things in the universe are either Yin or Yang, but there are no absolutes: nothing is ever all Yin or all Yang, but a balance between the two forces, when for example day changes into night, it is an example of Yang changing into Yin; when winter turns into spring; it is considered a changing from Yin to Yang. These forces are opposite and yet complementary, and share an interdependent relationship; without Yin, there is no Yang, and without Yang, no Yin. Yang is generally associated with what are bright, warm, and in motion. Yin is generally associated with what are dark, still and cold. 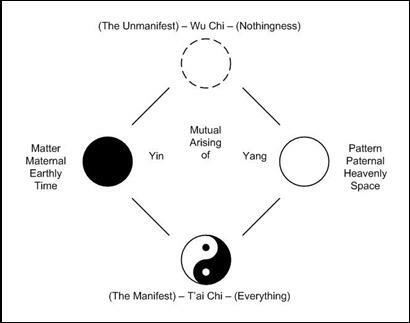 “Yin and yang are the law of Heaven and Earth, the outline of everything, the parents of change, the origin of birth and destruction, and the house of shen ming( God or higher consciousness, the spirit, Tao), when curing sicknesses we should base our point of view on the roots (Yin and Yang)”. 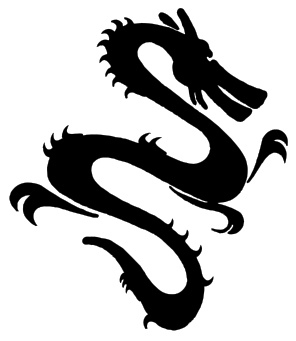 According to the Daoists the left of the body is Yang and the right is Yin . Yang represents the male aspects of the human being. Males according to Traditional Chinese Medicine mostly have anger issues . That would mean the acupressure therapist should start on the left side of the male body. All emotional issues , like anger, fear, worry, sadness and joy are functional aspects that involve an output of energy and are therefore described as Yang. Yin represents the female aspects of the human being . Traditionally women have mostly Yin related issues that have to do with blood, lymph and all the fluids . These are structural issues. In this case, the therapist starts on the right side of the body . Also, the area above the navel is described as Yang, while the area below is described as Yin. Relating Yin and Yang to the sides and up and down of the body. Other traditions work with the same notion: Serpents of the Kundalini Fire. Not all Chinese texts are in agreement here, just as many new age authors have it reversed. “The Tao gives expression to the highest to which a large part of humanity can look up and has revered for thousands of years.It is something which was considered as a distant goal of the world and of humanity, the highest element which man carried as a germ within him, which would one day develop into a fully opened blossom from the innermost depths of human nature. ‘That by which I am surrounded today is but a stage which has to be overcome. I must clearly see that this development in which I am involved has a Goal, that I am going to work towards an exulted Goal and that within me there lives a power which spurs me on to come to the Great Goal of Tao. In Korea they have the Taegeuk, where Red symbolizes heaven and blue the material world, Earth. Taegeuk refers to the ultimate reality from which all things and values originate according to oriental philosophy. The taegeuk is from the Eastern Zhou Dynasty in ancient China.The taegeuk design dates back to the 7th century BC in China but recent excavations go back even further. This shows that the taegeuk design and thought were utilized earlier in China than in elsewhere. There is a stone carved with the taegeuk design in the compound of Gameunsa Temple, built in 628 AD during the reign of Silla’s King Jinpyeong. Traces of taegeuk design have been found in the remains of the ancient cultures in China: in Longmen Grottoes and in YuyuanTai Chi village astrology. The taegeuk design was also used to drive off evil spirits. In the Goryeo and Joseon dynasties, the design was later used to represent Korean taoism and to express the hope for harmony of eun and yang to enable the people to live happy lives with good government. The blue and red swirling semicircles of the Taegeuk pattern have existed since ancient times. Celtic Yin yang swirls on bronze plaque from Mairy, Marne, dated to 4th century BC; on display at Musée des Antiquités nationales in Saint-Germain-en-Laye. Doctrine of the Mean, Wikipedia. Yin and Yang in medicine. functional aspects that involve an output of energy and are therefore described as Yang. area above the navel is described as Yang, while the area below is described as Yin. This entry was posted on September 29, 2008, 5:29 pm and is filed under Esoterics, Kabbalah. You can follow any responses to this entry through RSS 2.0. You can leave a response, or trackback from your own site.